Featured in Leading Architecture & Design, August/September 2015. 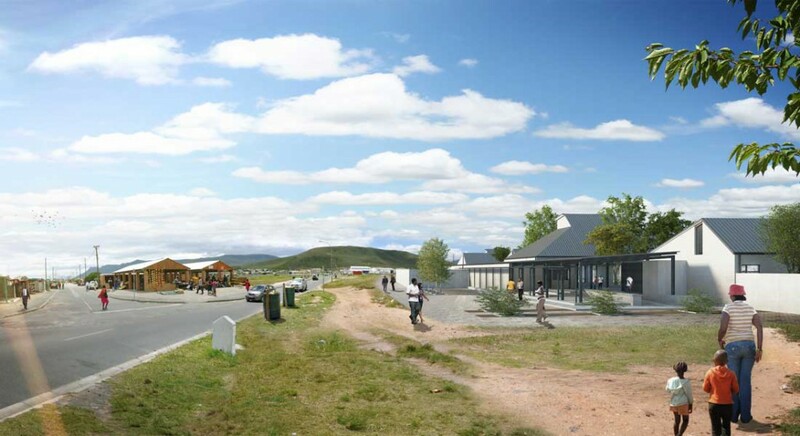 Gallagher Lourens Architects were appointed by the Department of Transport and Public Works in 2010 to consolidate three existing, smaller facilities into a more efficient and comprehensive service in Hermanus. 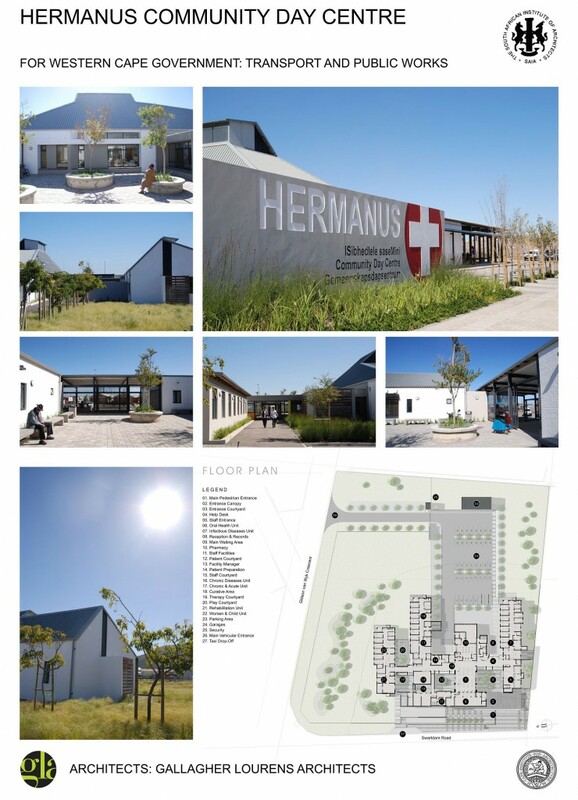 In January 2015, the Hermanus Community Day Centre were opened to the public. For Gallagher Lourens Architects, a key design consideration was the experience of public waiting areas, where the vast majority of a patient’s time will be spent during a visit. Architecturally and urbanistically, it is important that we strive to create environments in which people can feel comfortable, protected and welcome to encourage positive interaction with these environments and spaces. Arthur Barker shares more details on the Legacy in Architecture visible in this project on Future Spaces. Read his full article here. 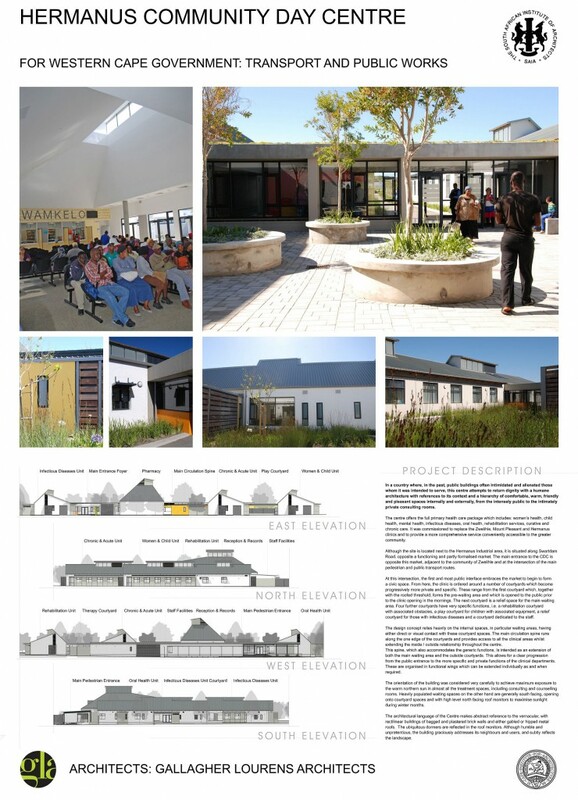 One of the latest developments by Gallagher Lourens Architects, the Hermanus Community Day Centre, is a healthcare project based in Hermanus which is nearing completion. A key design consideration was the experience of public waiting areas, where the vast majority of a patient’ s time will be spent during a visit. A series of public waiting areas is organised along a central circulation spine and there is a clear progression from publicly accessible to more private, defensible spaces. The healthcare architecture makes abstract reference to the vernacular language of plastered brick walls and metal roofs.